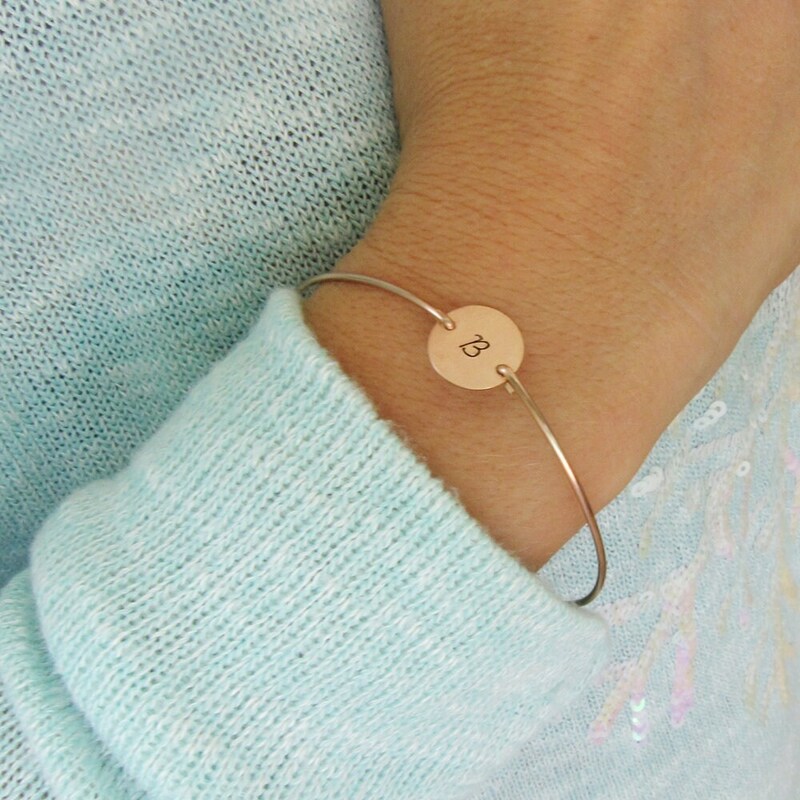 Select number of individual bracelets needed to customize your set of bridesmaid bracelets. 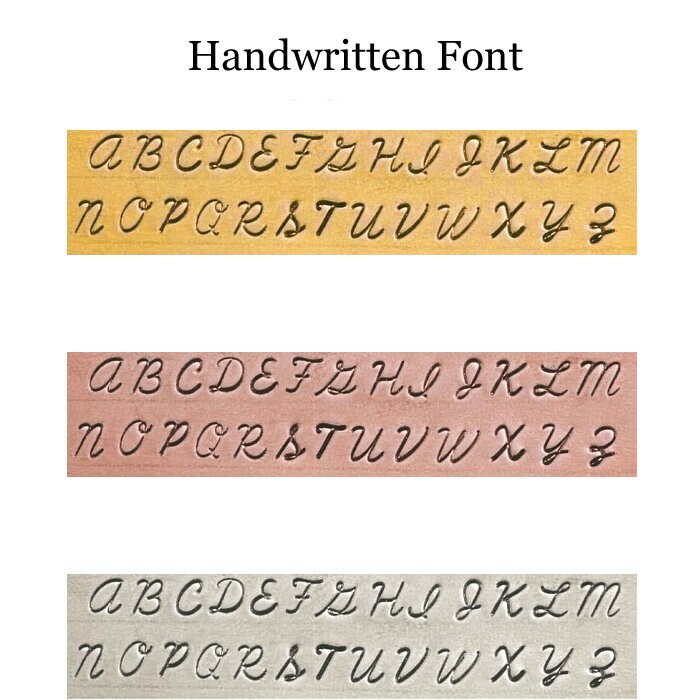 Select finish and font from ordering options. 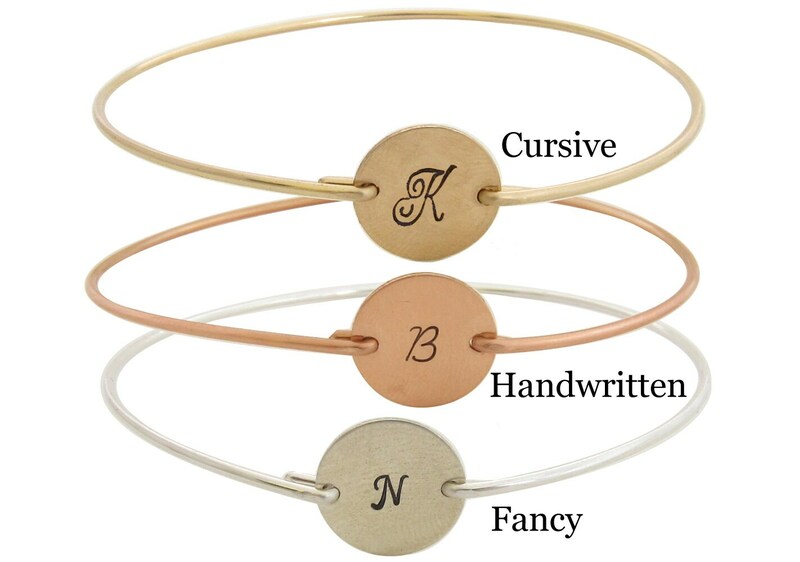 Please mention the initials you would like for each bracelet in "notes" during checkout. 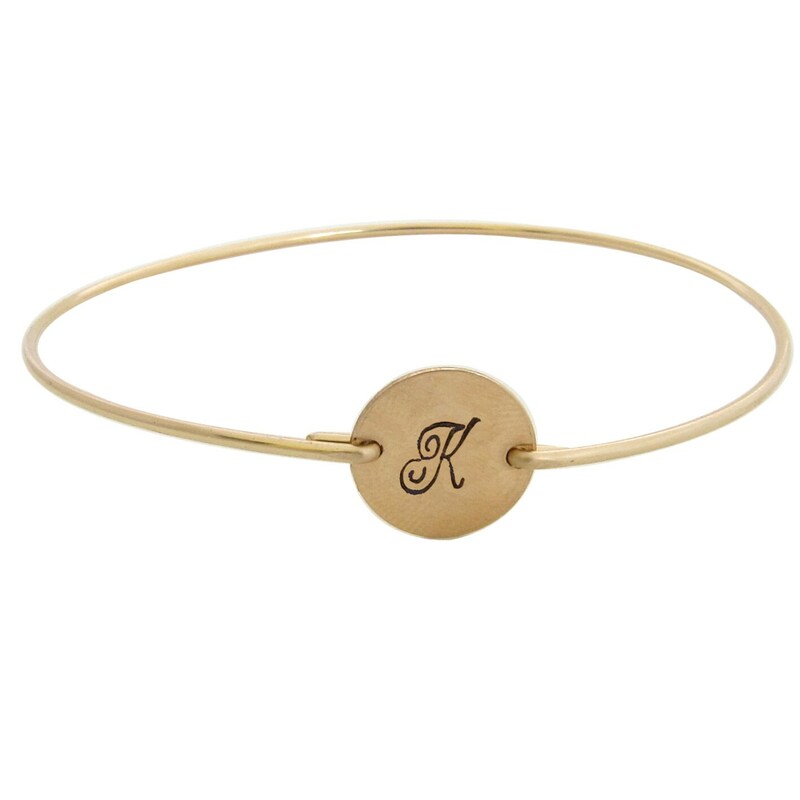 I custom make these dainty custom initial bangles on circle charm discs in your choice of finish in 14k gold filled, sterling silver, or 14k rose gold filled. 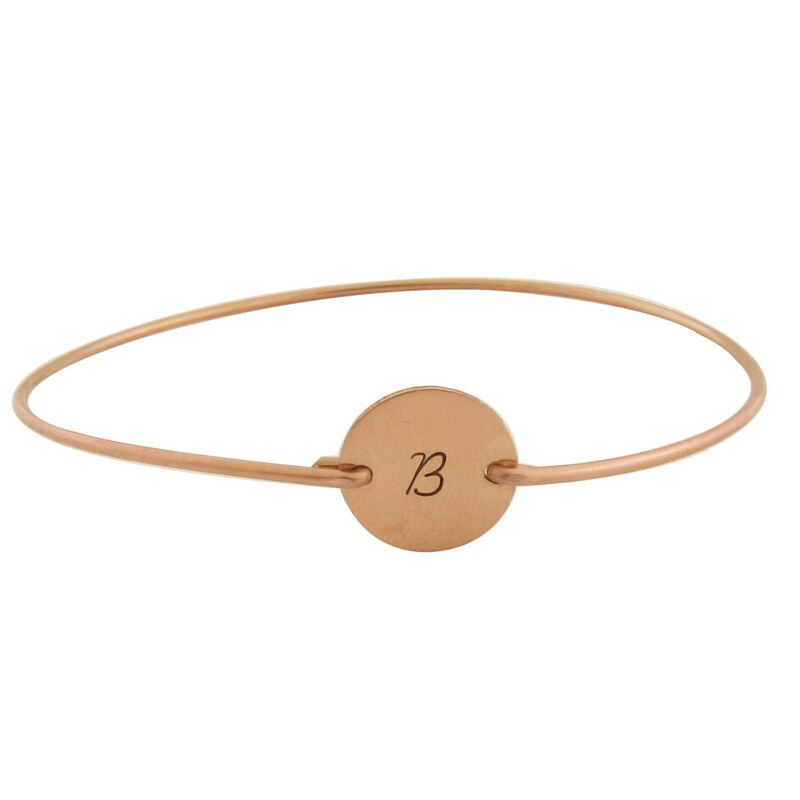 I hand stamp your initials and complete with bangle band in matching finish of 14k gold filled, sterling silver or 14k rose gold filled. 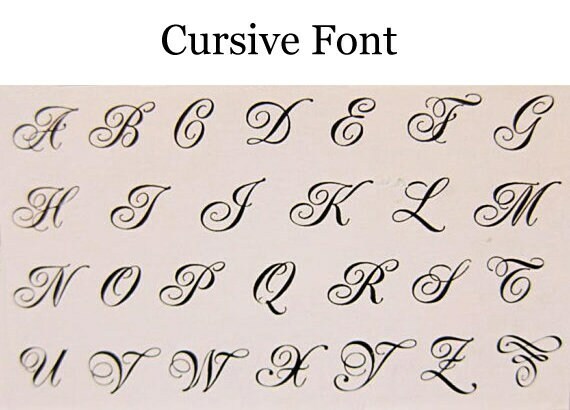 Select cursive font, handwritten font, or fancy font. I would not be able to choose one over another :) Each looks fabulous. 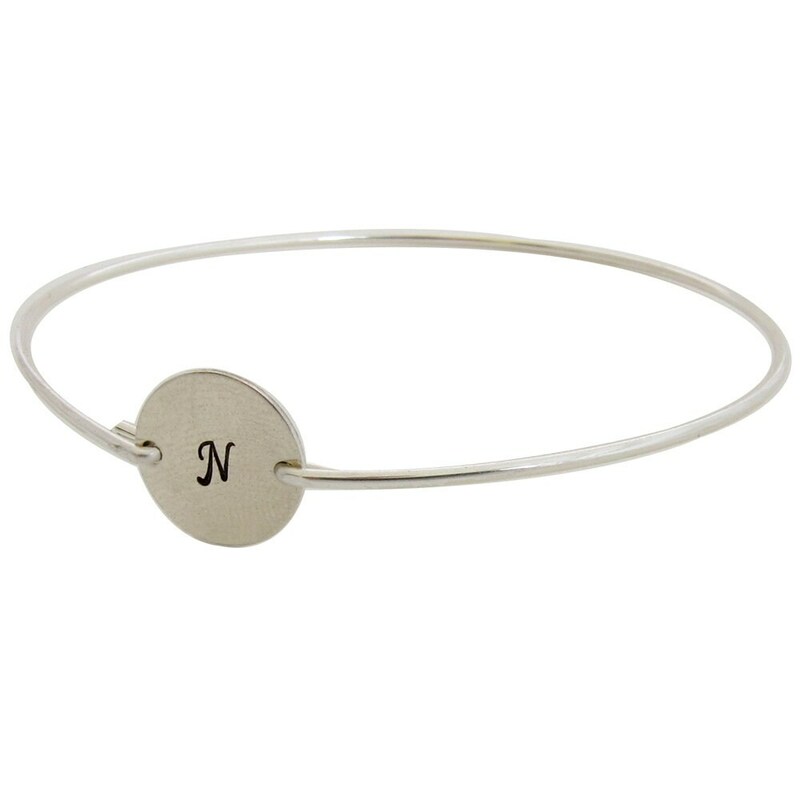 Please specify size for each bracelet in notes during checkout for your bridesmaid jewelry. Choose from my regular sizes below by measuring the circumference of the widest part of your hand where this bangle slides over; then I can size them for you. If someone is caught between sizes or it's a gift so you can't measure, see my 2nd size chart below for in between sizes. All of my bangles are closed, therefore, they slide on over the hand. If you're able to measure, that's great. If not, don't worry my size chart is easy to choose from below. Measure the circumference of widest part of hand while reaching thumb toward pinkie to make hand narrow. Measure in this position since bangle bracelet slides on over hand. All of my bangles are clasp-free, slide on over the hand for easy on, easy off. 8 inches is the most common adult size. I resize one time free if needed. 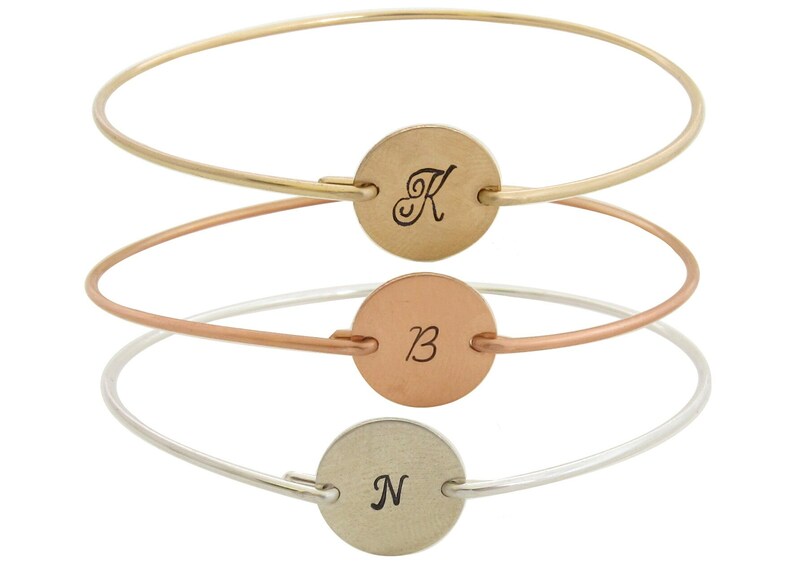 These personalized bridesmaid bracelets created and hand crafted with great care and love for you and yours. All of my items including these bridesmaid bracelet gifts are special handmade creations that are original Frosted Willow designs and concepts... I hope you love your set of bridesmaid gift jewelry! I hope this customized bridesmaid jewelry set will be the perfect gift for your bridesmaids to wear on your wedding day!